I find it strangely annoying that the highest rating I’ve awarded to a game this year went to South Park: The Stick of Truth. No discredit to Obsidian, they did a fantastic job. But there’s a part of me (a rather snobbish part, I’ll admit) that wants the best games, the absolute cream of what the industry has to offer, to be original creations rather than spin-offs or adaptations or “the game of the film” or whatever. I wanted Titanfall to be better than it is, for example. I wanted the same for Valiant Hearts, and Transistor, and all those other games that demonstrate such imagination and potential but stumble in the execution. 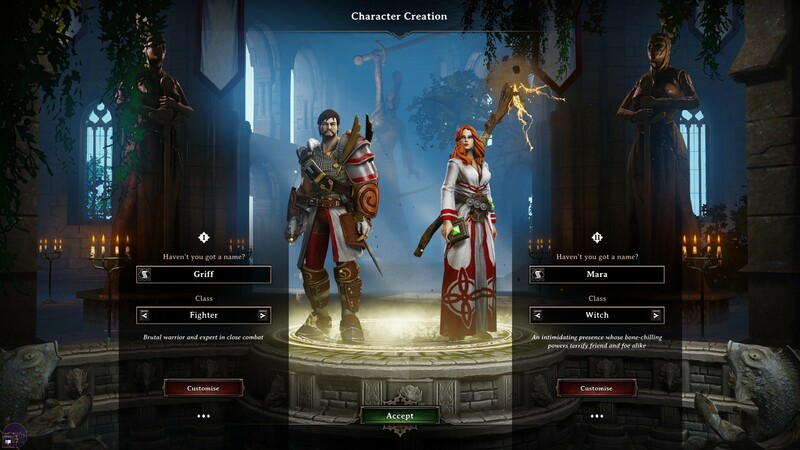 Most of all though, I want it for Divinity: Original Sin. critical buzzwords. Original Sin is a game made with love. Its flame has been kindled with a piece of Larian Studios’ soul, and for that it shines that much brighter than so many other games. For this reason I want to tell you it’s the best game you’ll play this year, and honestly it so nearly is. But by the length of a gnat’s attention span it just, just falls short. 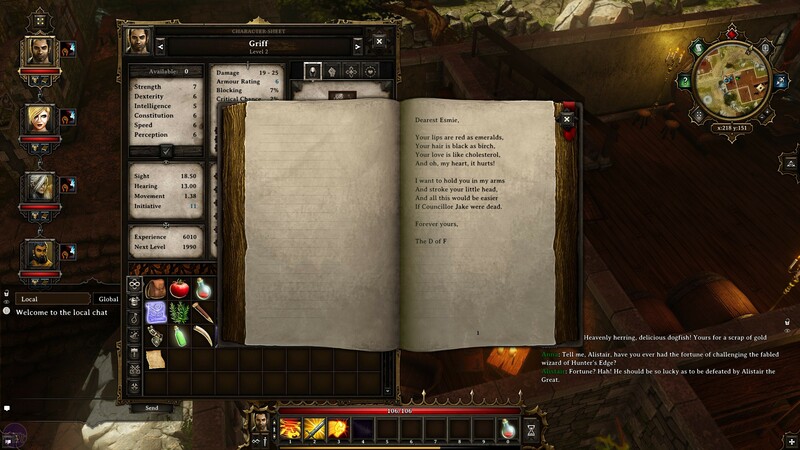 Glance at a screenshot of Original Sin and it looks like any other hodgepodge fantasy RPG. And in terms of theme and plot it very much is any other hodgepodge fantasy RPG. 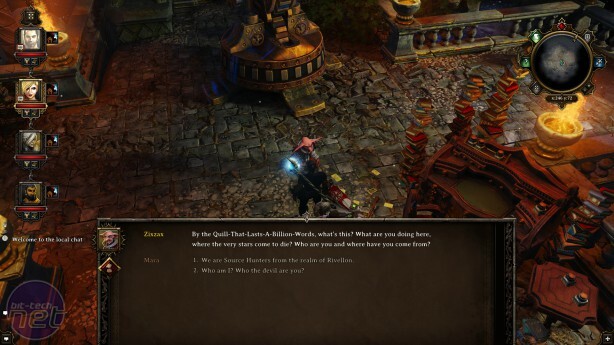 Larian’s world of Rivellon is a Tolkienesque crucible of orcs, trolls, imps, zombies, demons, warriors, wizards, witches, sorcerers, sourc-erers, and every conventional creature and vocation in between. Its story is taken from the standard world-saving epic mould, casting you (and possibly a friend) as a pair of plucky adventurers thrust into a quest far larger and more important than either of them imagined. deciduous forests that exist above and underworld of dark caverns, dank dungeons and creepy cellars. Again it's nothing we haven't seen a thousand examples of before. What's more, in the time of Game of Thrones and The Witcher and so much other fantasy designed exclusively for grown-ups, it runs the risk of feeling quaint, of committing the crime of cliché, which is rather ironic given the game’s title. But it doesn’t. It isn’t so much that it avoids this problem. Rather, it ploughs through it with the force of a +1 dwarf-powered battering ram. Much of it comes down to writing. Original Sin isn’t the most intelligently scribed game in the world, and it’s about a subtle as a drunken troll in an alchemist’s laboratory, but the writing carries so much energy and passion, its characterisation is so colourful and effervescent, that it inevitably wins you over. This is especially the case if you unlock the “Pet pal” trait, early on in the game, enabling you to speak to animals. Then you can converse with a dog who thinks you’re awesome because of your sweaty-boot-smell, or a prima-donna rooster being painted by a local artist.